The truth is simple — if you don’t like something, change it. If you can’t change it, then change your attitude about it, but whatever you choose to do, don’t complain about it if you are not willing to do something to make a change for the better. § I think most of us don’t realize how much we complain. § Way too many people complain because it garners them attention. § Complaining is a great excuse for poor performance. The other reason people complain is because it garners them attention. I am always surprised how many people have a deep need to be approved of and acknowledged for anything they have done — large or small. So they will complain loudly to make others stop because it puts them back to the center of attention. This is the moody friend who always says everything is “fine” as they mope around and cry a little bit and stare off into space just hoping you will ask, “What’s wrong,” and of course, the answer is always, “nothing.” Okay, then you sit there and cry and moan and groan while we go to the lake without you. It’s amazing how quickly most of them will get over whatever it was they wanted attention for rather than be completely left out. Jim Rohn who was considered one of America’s foremost business philosophers said, “To be successful, the most important thing you can do is to give up the blame list — it is so comfortable to blame the government, your negative relatives, the company, company policy,” and I will add the following: the economy, the losers you work with and for. It is easy to blame, blame, blame others for all of your life’s missed expectations. 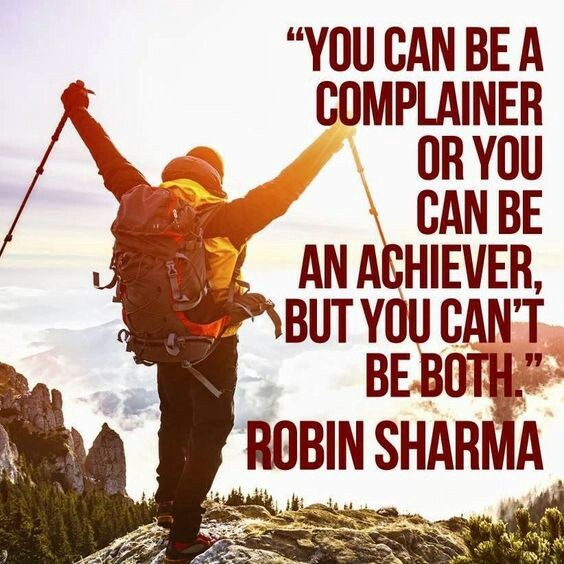 And Rohn is correct — it is easy to blame others except for the fact that the problems many times are not caused by others but by you and your complaining. It is just another one of your lousy excuses for your poor performance. Please stop complaining to get attention — it really doesn’t work, and frankly, it annoys the few friends you have left. I promise we’ll like you more when you grow into your own presence and bloom where you are planted instead of demanding like a spoiled child that you be acknowledged. And for Pete’s sake, stop complaining to cover up your poor performance. We see through your falsehoods and are not impressed one bit. Just do you job and do it well. Thanks for reading! If you enjoyed this bit of inspiration, please do me a favor hit the green ‘Clap’ button a few times ~ it would mean a lot to me and it helps other people see this post.